Ahhhh this is what id like to see everyday.. My fella laker fans being happy.. I am glad we're happy so far.. Lets keep it up guys. No they are both BELOW average NBA players. A fine defensive SF is Trevor Ariza, a fine scoring SF is Chandler Parsons. Michael Beasley has scoring TOOLS, however, Michael Beasley isn't particularly good at scoring for a team that's trying to win games. The year he avg 19.2ppg he had a PER of 15.5. 15 is the league average. You know how inefficient you have to be to have an avg PER and average nearly 20ppg? That's Rudy Gay Raptor level bad. Wes Johnson also isn't anything more than the average athletic wing that has no skills. He's also extremely sometimey on defense. While he was sometimey on defense last year he held people to 40% on isolation last year. That's not bad in the least honestly. The problems with his inconsistency offensively. Defensively he held opposing players to 40% and the fact he also had to play 4 against people that oversized him and it didn't screw that up says he is a good defender. He's not a stopper by any means but he isn't terrible. He had a very solid first half of the season to the point you were singing his praises and saying he was a must keep. He had an inconsistent second half of the season despite still holding opposing opposition to 40% and you then 180'd him as a scrub not worth keeping. The one thing Wes did well last year was defense. His offense was inconsistent and he settled for the mid range far too much. But he did shoot 36.4% from three and finished 60.5% around the basket and at the rim. The reason his field goal percentage is muffed is because he settled for the long mid range jumper far too often where he shot 34.7% from. What that means is that Wes needs to focus on slashing and being purely 3 and D slasher and not settle for mid range jumpers and cut to the basket more and finish with intensity. Like I said, we know who Wes is, he just has to focus on doing what he does best and being the best he can at it. And 36% from three 60% finishing around the basket and holding opposing players to 40% shooting is not a bad get. Hopefully you'll see the Wes that had you singing his praises during the first half of the season as opposed to the latter. But being that Byron was the main guy saying Wes needs to cut to the basket more and finish more aggressively one can expect it will play more to Wes' strengths than his weaknesses(long 2s). That's the best we could hope for if we want to maximize Wes. I like Beasley and think he would be a good addition. Just for fun, wouldn't his dream team to play for be the Nuggets? Still believe in him but I don't know. He needs to start recognizing his potential. If we get Beasley , all of a sudden this Off season isn't as bad imo. We have a bunch of good to decent players. Way deeper than last year at least. Best part is we managed to keep the gems from the previous season, mainly Young, Hill, Kelly, Xavier , Wes. I think people are underestimating our bigs depth too. Booz, Hill, Randle , Davis and Sacre is a solid front line imo, no where near best in the league , but we have a good mix of Defense , Skill and Hustle. Edited by RickyStarFox, July 30, 2014 - 12:53 PM. I think he'd just be coming here to vacation in LA and make a quick mil. I don't see much need for him at this point - he wouldn't even be good trade bait IMO. Don't really care for him at this point. Just the fact that we have a coach that wants to focus on defense is already a great offseason. 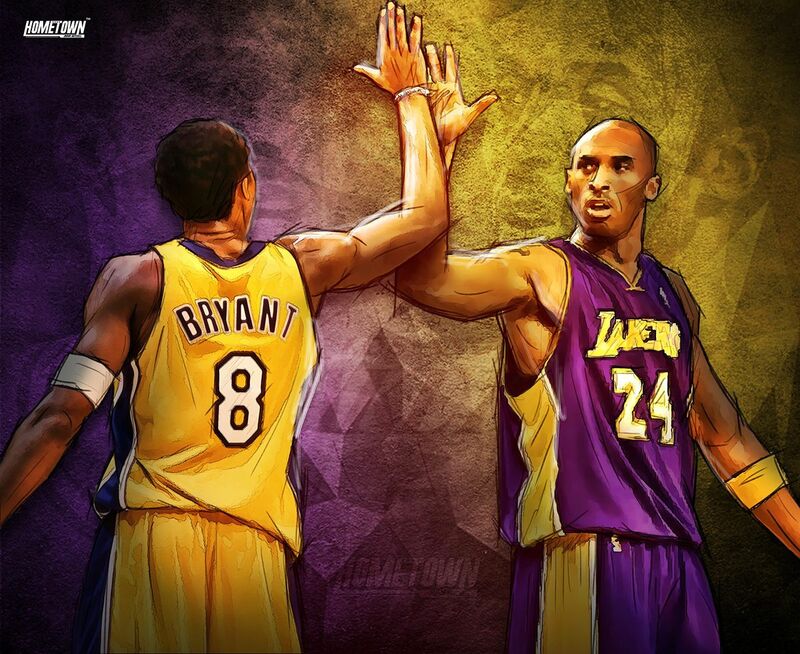 Add kobe to the mix with randle, boozer, lin and beasley. Thats a darn good off season. Im thinking way better than last year. I would rather sign Marion. I dont saee the fit. I don't see the fit either? Don't we already have enough of these type of guys on this team. i guess more offense can't hurt...We def gonna be putting up some points this year with this squad just hope they can be consistent on defense. Go get him mitch... 1mil wouldnt hurt just incase henry and wes dont come in as an improve players. Dude can still score and if he tries to mess around, scott wont let it get out of hand. Beasley wouldn't be starting imo. Can't see him lasting with his 'tude and Byron as HC. The guy has some issues for sure and if he's a misfit and unhappy now as an NBA player...good luck several years from now when youre out of the league with little to no money and no prospects. Pull it together Bees and contribute. The alternative is 'the dangerous loner'. Guys like Nash and Nick seem like good guys to be around. Hope someone gets through to the man. "Drink Hennessey straight, with tomato juice"
Sure it's not a marquee free agent signing, but Beasley could be a great addition to our bench. I'd bet he could give us 15 or so if given minutes. I'm not getting all this "BUT HE SMOKES THE WEEDS GUIZE"/bad influence rhetoric. The only way to deal with him if tries to mess around is to cut him. Which probably wouldnt cost much anyway. Its not like we're trying to get rid of melo's contract if we try to get rid of him so i think its all good. thats what people think. but you never know. if he buys into playing D, he could start. we have enough scoring punch on the bench already..
Sign him. High reward low risk player if the contract is right.